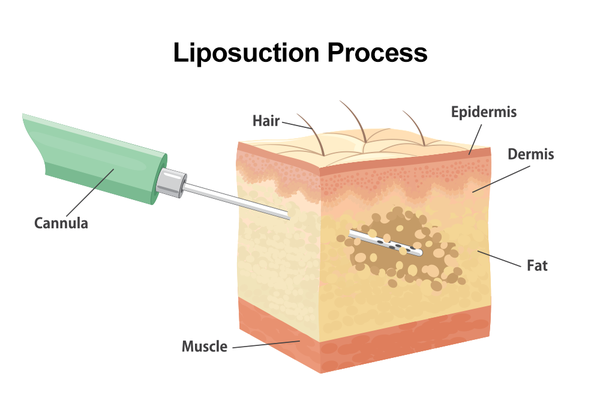 Liposuction – Bethesda, MD – Roger J. Oldham, M.D. Stubborn fat deposits in the abdomen, buttocks, and thighs can be difficult to lose in spite of regular exercise and a healthy diet. Dissatisfaction with your body can take a toll on your confidence. Dr. Roger J. Oldham can perform liposuction to sculpt your trouble areas, create a more contoured physique, and enhance your appearance. Before undergoing liposuction, you will meet with Dr. Oldham to discuss your treatment options. During this consultation, he will speak with you in detail about your health history, cosmetic goals, and eligibility. Candidates should be within 25 pounds of their desired body weight and should be in good general health. Patients should understand that liposuction is not meant to be a weight loss treatment, but a body contouring procedure. After surgery, your weight may remain about the same, but you can enjoy dramatically refined body contours and increased self-confidence. During your consult, Dr. Oldham will also review risks, benefits, recovery, and the overall cost of the procedure. Candidates should be within 25 pounds of their desired body weight and should be in good general health. Anesthesia: Liposuction can be performed under local or general anesthesia. Local anesthesia numbs the targeted area while the patient remains conscious. General anesthesia puts the patient to sleep for the duration of the procedure. During your initial consultation, Dr. Oldham can help you determine which option is most appropriate for you. Incisions: To begin the procedure, Dr. Oldham makes small incisions in the targeted area. These incisions typically measure about a quarter to a third of an inch. Fat removal: A long, slender device called a cannula will be inserted into the deep fat layers through the incisions. Moving the cannula back and forth, Dr. Oldham gently breaks up the fat deposits and uses an attached vacuum pump to suction them out. Stitches: Once stubborn fat deposits have been eliminated, the incisions will be closed with surgical sutures. Liposuction can enhance the results of other procedures. It is often combined with a breast augmentation, breast lift, or arm lift to provide comprehensive results. For more specific information on how to prepare for your surgery and what to expect, you can read through our liposuction surgery instructions. Knowing what to expect after liposuction can help patients enjoy a successful and comfortable recovery. In the sections below, we will discuss initial healing and long-term recovery. Immediately following your liposuction procedure, bandages and dressings will be placed. You will most likely be fitted for a compression garment as well. This will help support the healing tissues and reduce post-surgical swelling. Patients should go directly home and rest as much as possible. Some discomfort is to be expected and can be managed successfully with prescription medications and over-the-counter pain relievers. Within the first week of recovery, most patients are able to walk and move around comfortably. On average, individuals can return to work in just a few days. Patients should continue to wear their compression garment daily until otherwise directed by Dr. Oldham. In most cases, it can be removed after two weeks. During the first week of healing, patients are advised to take showers instead of baths, as to not submerge the surgical incisions. This will reduce the risk of infection and other post-surgical complications. Bruising, swelling, numbness, and other temporary side effects will begin to diminish at this point. In most cases, swelling will continue to subside for several months after treatment. The skin around the targeted area may also appear loose. However, it will continue to tighten over time. 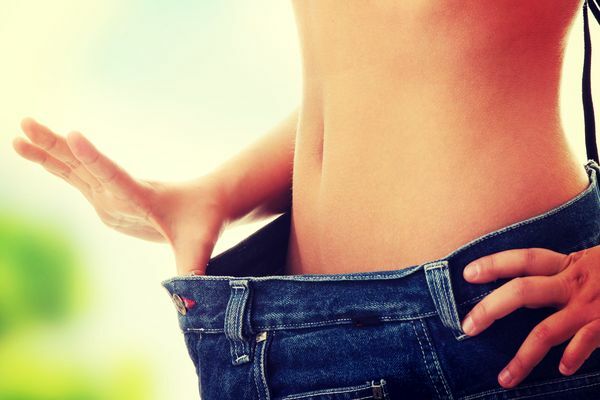 Generally, the full effects of liposuction are apparent about six months after surgery. If other cosmetic procedures were performed at the same time, it could add a few weeks to your recovery timeline. Dr. Oldham will continue to monitor your progress for several months after liposuction. During these follow-up visits, he will check your healing and ensure that everything is going smoothly. Dr. Oldham makes safety a priority and will take ample time to plan a procedure that will provide you with the results you want. Eat lots of lean protein, calcium-rich foods, fresh produce, and whole grains. Limit your intake of processed foods. Exercise at least five times per week. Try activities such as walking, jogging, swimming, cycling, dancing, or yoga. Combining a healthy diet with regular exercise can not only help prevent weight gain, it can also help patients keep their bodies toned. If you would like more personalized recommendations, reach out to a team member. As with any surgery, liposuction poses the risk of potential complications. Uneven skin surface, infection, fluid imbalance, and embolism, or the entering of fat into the blood vessels are all possible. The risk of these complications can be considerably reduced when they are performed by an experienced and skilled surgeon like Dr. Oldham. One of the most important steps in your liposuction procedure is choosing a skilled, experienced surgeon. Dr. Oldham makes safety a priority and will take ample time to plan a procedure that will provide you with the results you want. If you are ready to achieve a more slender, contoured body, contact us online or call our office at (301) 530-6100. Dr. Oldham's expertise and refined technique can help you feel incredible about the way you look.